If you are a gamer, you will probably be focused on things like the hardware in your PC such as the graphics card, hard drive and amount of available RAM etc. 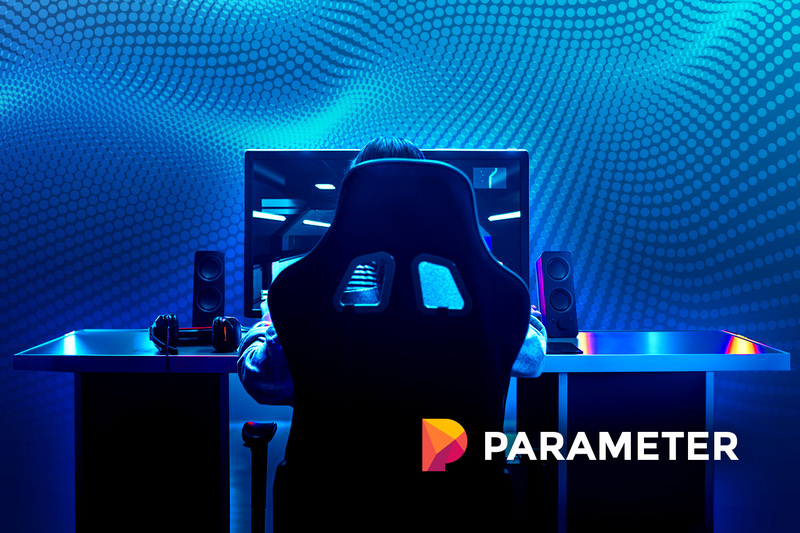 We think that you should also focus on other things that could you help you get a competitive edge, things like your physical comfort, which is where this guide to desks for gamers comes in. A desk can have a big impact on your style of play, if you are cramped up in a corner of a room somewhere you are not going to feel as comfortable playing than if you have a nice comfortable desk to sit at which makes it easy to view your screen, move the mouse fast and accurately and also have some space for drinks and other tools you might need while playing. Desks come in all sorts of sizes and specs and have widely varying price tags which means you can spend a large amount of money on a new desk only to find out it’s not suitable for you and your style of play. We have spent weeks examining all the different types of desks which are currently on the market, we have picked apart the specifications, measurements, materials used in the build and even spoken directly to manufacturers to get a better understanding of what makes a good gaming desk and what sets them apart from regular desks you might find in a home office. Take a look below as we aim to put together the most comprehensive guide to gaming desks you can find online. We will be examining the top 10 desks in detail, saying what we did and didn’t like and giving you a run down of what to expect with each one. If you are a buyer of one of the desks listed, please take the time to leave your review and a rating at the bottom of the article to help fellow gamers gain more information about their possible choice of desk. Finally, we have also put together a buyers guide and some frequently asked questions at the bottom, so have a read through of those also before making your final decision. When it comes to the features, there are a couple of things you need to consider and a few questions that also need to be answered. However, we have left that for the end of the article and we will first be focusing on what is important: your best gaming desks.We have picked a selection of different types of desk to suit all budgets from $100 up to $500+, there should be a desk for everyone in our list. 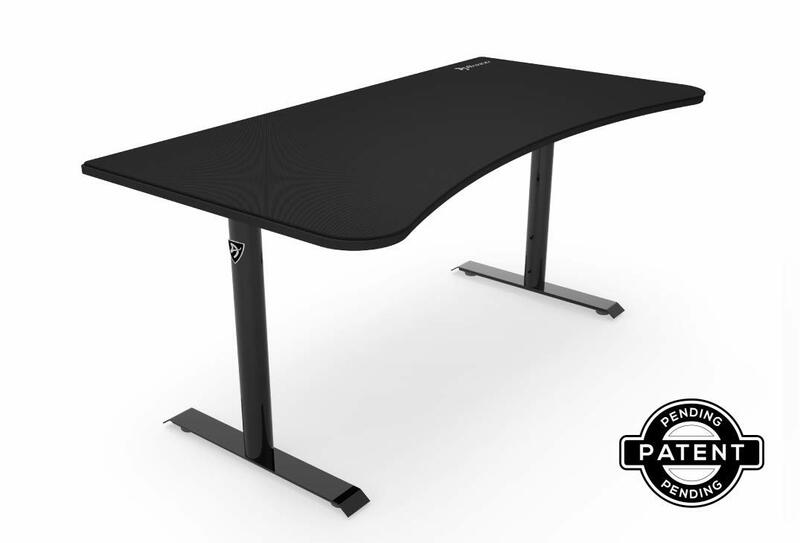 The Atlantic Gaming Desk Pro is the first desk that makes it onto our list and this desk has been specifically designed for gamers to hold all the tools you need for success. It features a large desk area that will enable you to add all your favorite gaming equipment and an additional elevated area for your monitor to ensure that the view is not obstructed in any way. On either side of the desk, you have multiple DVD holders and since the elevated stand does not span the entire diameter of the desk, you can add some of your smaller equipment on the sides. It looks really modern and this is all thanks to the design that will cover some of the metal and have it look more like a carbon fiber table. The curved design is something that really stands out for this desk and this enables you to have an ergonomic feeling when using it. Your chair that might be curved will easily slide inside and provide you with all the comfort needed to enjoy playing. It is also heavy, but this is not a bad thing as it gives the desk more stability to be planted in the ground firmly. While the desk does have all these intricate storage areas like a storage holder that will hold some of your consoles, it does take some time to assemble. The assembly process might be a little time-consuming for many of you who are in a rush to start playing. However, the instructions are clear and by following them, the installation should be done in no time. With all of these features, the desk is surprisingly affordable and should offer some great value for your money. Once you have it, it might be hard to turn back to some of your older desks and this does give you some great value for your money. We would definitely recommend it for the value on offer and all of the intricate features. The Arozzi Arena Gaming Desk is a simple and elegant desk that looks much similar to what you will be using at work. The curved design fits well with most chairs and it does not have too many things that need to be assembled. It is made from solid pressed wood and metal and this makes it rather heavy, but really firm and stable on the floor. One of the best features is the size and according to the manufacturer, it will enable you to set up three large monitors to enhance your gaming experience. The desk also comes with a custom microfiber mousepad, making it easier to move around the mouse. You will also find that is is actually complete water-resistant as well. The desk is available in multiple different colors and you can also find the smaller size if that is what you need. It is not only designed for gaming but will work well in your office as well. 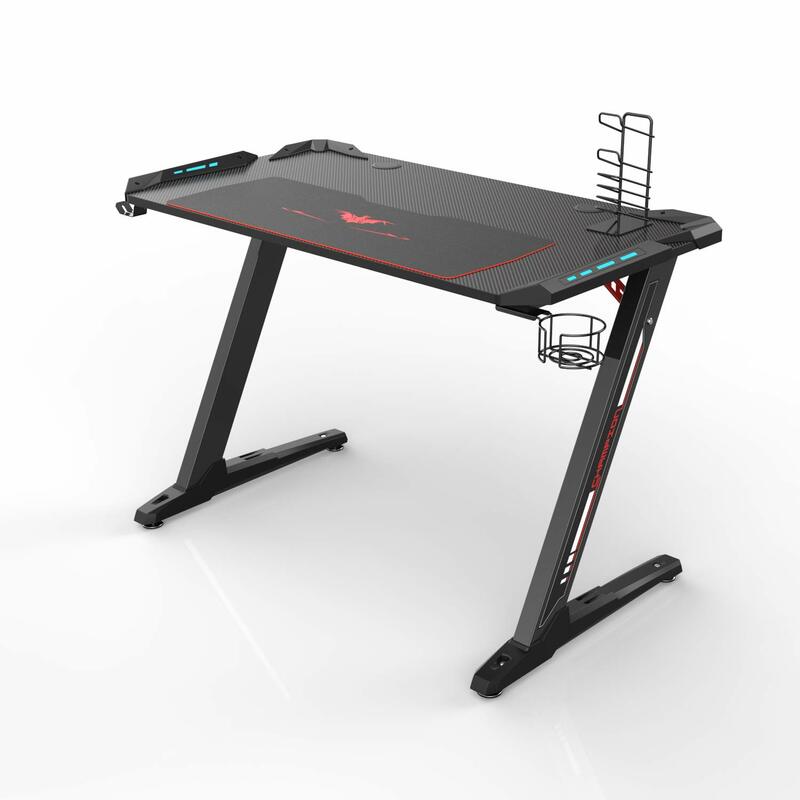 The desk is capable of holding 176-pounds as part of the load and this means you can add virtually all your gaming accessories if needed. It might have all these excellent features, but you will notice them in the price. There is no getting around the fact that this is one of the most expensive desks for gamers. However, the durability will ensure that you never need another one. We would recommend it for the durability and the extra space for all your PC monitors. If you are serious about storage space while you are gaming, the Eureka Ergonomic X1-S Gaming Desk might be perfect for you. Much like some of the others, it has been constructed from solid metal and pressed wood for the tabletop. However, the X-frame will ensure that you have excellent stability when it is placed on the ground. The table itself also features LED lighting on the sides and this will only make it look more like a gaming desk. The lights can easily be powered by simply plugging the USB into your gaming PC. This will certainly enhance your gaming experience, especially when you are playing your favorite games in the dark. Since this is a gaming desk, it is absolutely no surprise to see the cup holder and the hook that has been attached. These can be really helpful when you are playing longer gaming marathons and you don’t want to leave the PC. Additionally, a DVD stand has been added to the fray and this can also be used to house some of your favorite games. The LED lights might be an excellent addition, but they can actually be a real pain at night. They will definitely keep you awake until you adjust or you simply need to remove the USB plug from your PC to stop them. The desk also features materials that have been added to the corners and this might inhibit you from using monitors that are too large. 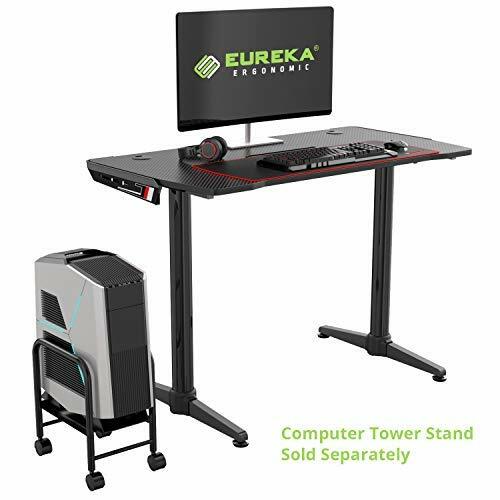 When looking at a top quality brand like Eureka, it is no surprise to see that their desks are actually a little expensive. However, this will all be worth it as the desk is extremely durable and offers a lot to the ultimate gamers. We would also like to note that the desk is adjustable for an uneven surface with the feet being able to adjust. You might be inclined to look at this as a standard workstation and even though you are correct, it is hard to not imagine the comfort this design will give to gamers. The VIVO Height-Adjustable Standing Desk is one of the easiest to use in various different positions and you can also use it for all your gaming purposes. The desk is defined by the manual riser that is operated with a gas-powered spring. This means the desk is adjustable and you can easily change it if you feel like playing while you are standing. It is worth noting that the desk includes 8 different height adjustment points. Since it features a separate keyboard stand, you can easily ensure that the desk will have enough space for all your gaming equipment. While this desk will be perfect for all your gaming needs, it might have one flaw. The maximum weight limit is around 40-pounds and this might not hold all of your gaming equipment. However, the ability to move the keyboard of the desk will give you a little more weight to play with. It is ideal for books and other light gaming equipment. As for the price, it could be argued that it is a little expensive. However, we find the price to be just perfect when you take the versatility into account. If the manual riser does not work for you, you can easily find the electrical alternative, but keep in mind it will be more expensive. It is worth noting that you are covered by a 3-year limited warranty. A folding desk is definitely something that you need to consider if you are limited to a certain amount of space in your home. The Origami Foldable Computer Desk is one of the easiest to assemble and it can be folded to get it out of the way. Since it weighs only 36-pounds, you should not have any issues when it comes to moving it around on your own. 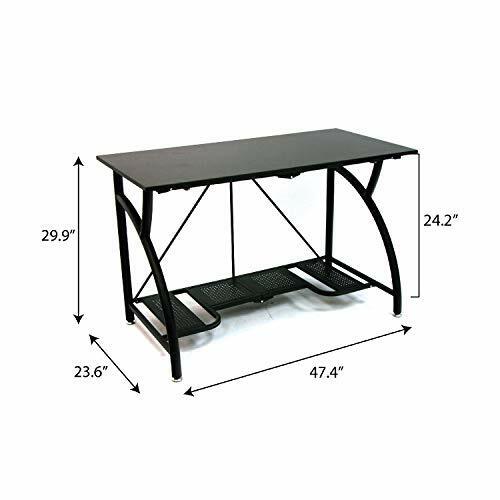 The desk is capable of holding a 100-pound load and since it is available in 3 different sizes, you won’t need to worry about the perfect size for your home. When it comes to durability, this desk is also chip resistant and the smooth coating makes it feel even better on the top. The patented Origami clip has also been added to ensure more stability. Beneath the table, you have a solid foot stand, but this can also be used to store your PC or even your gaming consoles. Unfortunately, the locking mechanism does have a couple of issues that will develop over time, especially when the desk is constantly folded. However, when left, it won’t really give you any of these shifting issues. 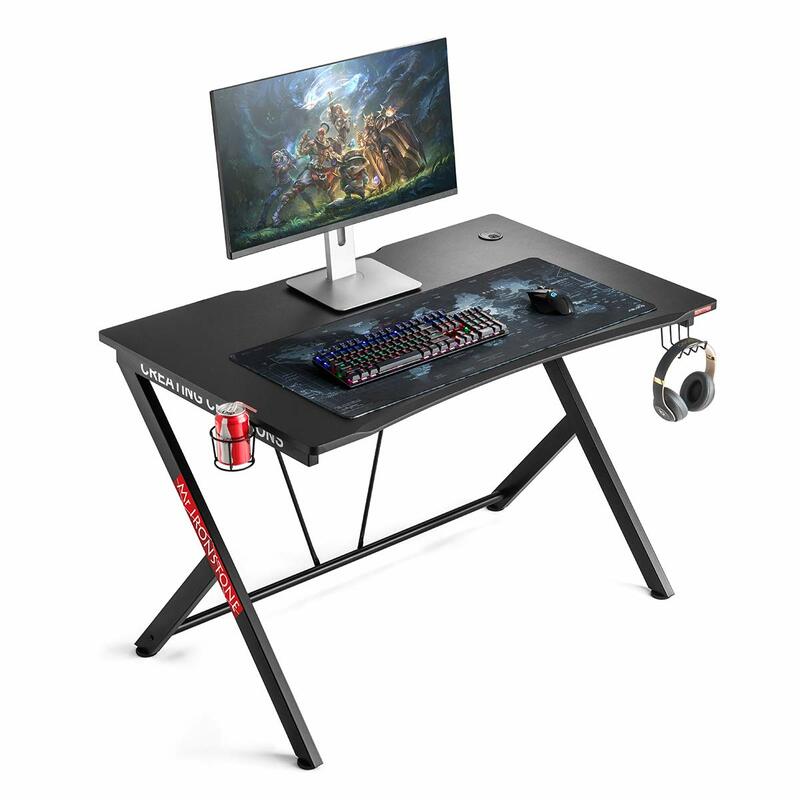 Since it is a more basic gaming desk than some of the others, it is also a little more affordable and this should make it a great investment. It can hold your monitor and when choosing the large option, you can possibly fit two of them. We would recommend it for smaller apartments where you might need some space and use the folding feature. 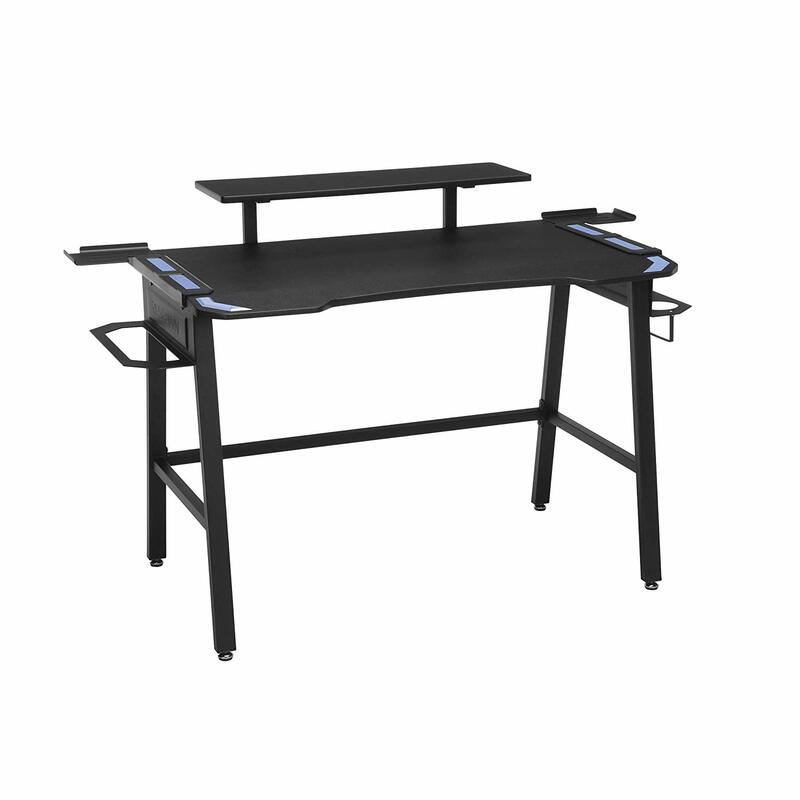 The Mr. IRONSTONE Gaming Desk is the next desk we have on our list and it has been constructed from solid steel for the frame. The tabletop features PVC that has been laminated, making it much easier to actually wipe the table once you are done. The weight is light, but at 46.3-pounds, it still gives you stability on the floor. As for the design, it is modern and the desk also features a cup holder on the one side. On the opposite side, a hook has been added and this will make it ideal for some of your gaming accessories like your headphones. With a length of around 45.3-inches, you will easily fit your large monitors and possibly even two smaller ones as well. According to the manufacturer, this desk is also waterproof and this is due to the PVC coating that has been added. As we have already mentioned, it also makes cleaning the table a little easier. However, the design looks stylish and modern and it should fit into most rooms without any hassles. The installation should only take a couple of minutes. If you plan to use it as part of an L-shaped desk, you might have a couple of issues. Yes, the two desks should easily fit into one another, but when the screws have been tightened on one, you could have a few issues when it comes to lining them up. With a little dabbling, you might be able to figure this out without any assistance. The desk itself is also rather affordable and you won’t need to dig too deep into your budget to ensure that you can easily afford one. However, when setting up two of them to form the L-shape, it might be a little expensive. Since the desk is rather flat, it can be used for work or gaming purposes, giving you more versatility. 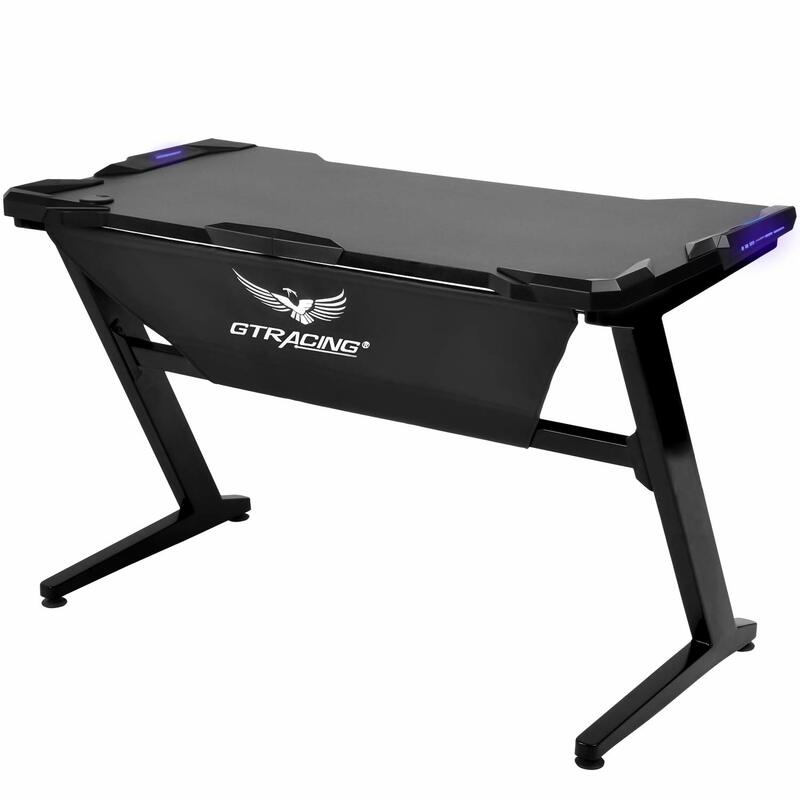 The GTRACING Gaming Desk is one of the best looking desks on the market today. Not only does it look rather stylish, but also features a solid metal frame that will hold it stable. The pressed wood tabletop is designed to make it look more attractive and with an ABS coating, you will find that none of your liquid spills will leave any stains. 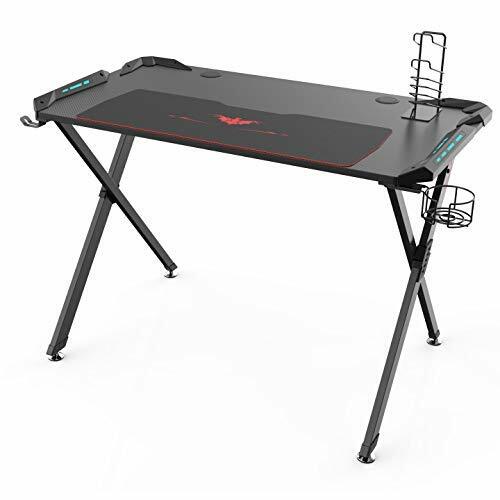 Gamers will definitely enjoy this table as you can actually set up a variety of your gaming equipment. When you look at the back of the table, you will notice that it has been designed to help your place your cable safely. The large upper surface can potentially even hold two smaller monitors to enhance your gaming experience. To make this table look even more attractive, LED lighting has been added to the sides. Having these lights will ensure that you can look more professional and even help elevate the experience. The feet are designed to work well on most floors and according to the manufacturer; they have added an anti-skid rubber design that will even withstand wet floors. One of the downsides is that the desk does need to be near some sort of power source for you to actually use all of these features. If you simply plan to use it as a working desk, you might actually need to look for something a little simpler. However, it can serve a massive purpose for those with gaming aspirations. As for the price, it might be a little expensive, but you will still find that there are many more tables with an even more excessive price tag. We would definitely recommend the table to serious gamers, especially the professionals. It is worth noting that the desk is also protected by a 1-year manufacturer warranty. Once again, we have Eureka making an appearance on this list and the Eureka Ergonomic Z1-S Gaming Desk is their version of how a good gaming Z-desk needs to look. The desk has been designed with the exact same theme in mind as the X-frame, but now you will have the advantage of the Z-frame looking more like a gaming desk. Much like the X-frame model, this one incorporates a cup holder and a hook that will make it much easier for you to store some of the essentials that are needed for long gaming marathons. It also features an additional mouse pad made from microfiber to ensure that you are never stifled by dirt that could inhibit your experience. On the sides of the table, LED lights have been added and these will work when plugged into your gaming PC with a simple USB. The carbon fiber texture is one of the upsides when it comes to style and it could also make the desk look more expensive than it is. However, we like it for the anti-skid design that will enable you to place multiple monitors on the desk. The set up can be a little timely and you will need to have all the right equipment to ensure that it is possible. It is also worth noting that the desk is not as easy to adjust for height as the X-frame. However, when we compare the two, the Z-frame definitely stands tall as one of the best options for those who need some stability. The price is around the same as the X-frame and this should make it an excellent investment for the long run. You will receive a decent warranty to give you some peace of mind. If you consider yourself a serious gamer and you are looking for one of the best gaming desks on the market today, this is definitely one to consider. The RESPAWN 1010 Gaming Computer Desk is one of the top designs for serious gamers looking to have a lot of space. It features a solid and stable design and the design comes with an elevated area that can be used for your monitor. This will free up a little more space on the desk itself for all your gaming equipment. A decent cup holder is added to the side and this is around 40-inches for those longer gaming marathons. It also includes multiple features on the side that can be used for housing some of your gaming equipment. However, many people also choose to use this for actually threading the cables to keep them safe and reducing any clusters. Once again, the desk itself can be adjusted for height and this will be done with the contoured feet that also keeps it from skidding around when placed on slippery floors. For the table itself, you will notice contours and this is not only to help it look a little more stylish, but also to ensure that nothing actually slides around on the desk. It is actually affordable to buy, but many people have complained about often receiving damaged parts. However, this only happens occasionally. The manufacturer does take full responsibility to help you replace them if this happens. If you are looking for an advanced desk that will definitely elevate your gaming experience, this is the way to go. Last but certainly not least, we have the Eureka Ergonomic i1 Gaming Desk and this desk has been designed to carry a massive load. It has been constructed with a cold-rolled steel frame that can hold around 130-pounds on weight. On top, you have a carbon fiber-like contoured surface that is easy to clean and adds a little more durability. One of the top features is part of the accessories and you will have a mobile device holding stand. This is perfect for when you are communicating while you are working and should offer some flexibility. Cable management features are added on each side, ensuring that you never have to worry about hazards when the cables seem too clustered. Once again, Eureka has outdone themselves with an elegant mousepad that is made from microfiber. This has been built into the desk and will enable you to actually slide across it with your hand, instead of having any hindrance. Since the overall shape has been curved, it is also ergonomic, allowing you to reach every part with ease. Eureka is a reliable brand, but their prices are also affordable and this is why we would recommend this table. It is not only designed for all your gaming needs but offers some versatility to the working man as well. We could not find much that is wrong with the table and it is recommended as one of the top budget options. Now that you have seen some of the top options on this list, you might also be wondering how we actually chose these gaming desks. However, we have included this buyer’s guide to help you gain a better understanding of all the most important features. If none of these appeals to you, here are the top features to keep in mind. Size – One of the first things that any gamer should look at is the size of the desk. If the desk is too small, you won’t be able to fit all of your gaming equipment on the desk. The desk size will also be determined by the amount of space you have available in your gaming area. There is no use in buying a desk that will be too large for your rooms. Frame Type – Nowadays, we have different frame types to work with and all of these types have been designed for specific reasons. The X-frame is one of the most common and it has massive stability but does not look at professional. 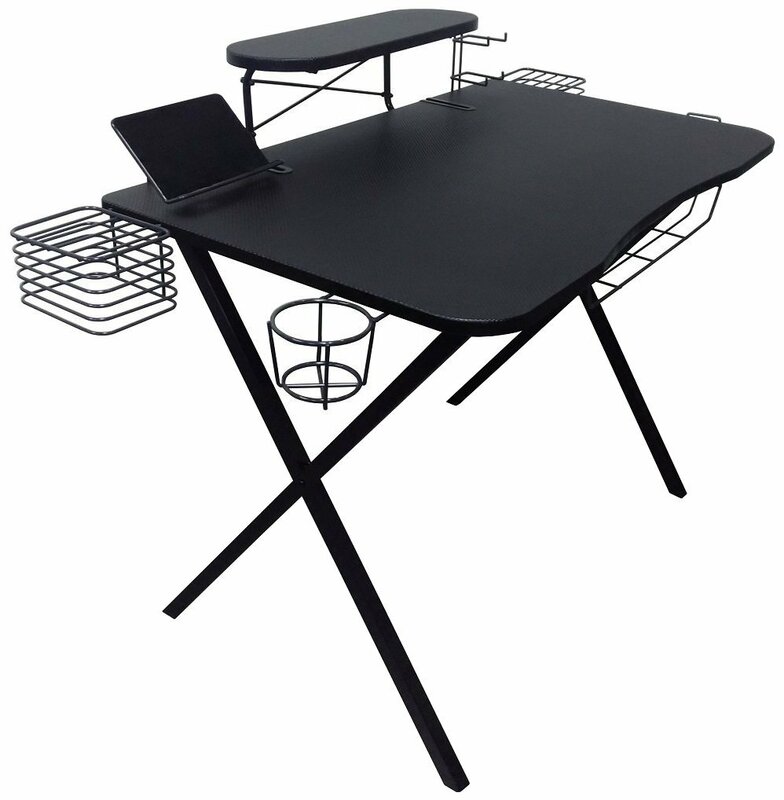 The Z-frame is a newer design that will still offer you some stability, but bring your desk into the 21st century. When looking at the frame, the materials also need to be consistent. Fortunately, we have focused on finding metal and steel for the frame. The metal and steel frames are a little more durable and they should hold a larger load. However, too much steel also means that the frame might be too heavy and this could be hard to move. Ergonomics – It is no secret that anyone can actually design a table and call it a gaming desk. However, gaming desks are designed with an ergonomic touch. This means that you can actually sit in the middle of the table or close to it and reach virtually every accessory. As an avid gamer, you might not know when you will need something for a game until it is too late, but now you can easily acquire it to enhance the gaming fun. Style – The desk definitely needs to have some sort of stylish element added to it as this is what sets it apart from the professional desks we all use at work. A contoured surface definitely makes the desk stand out, but the purpose for this is also to enhance the grip on the desk. This will ensure none of your important equipment slides around. Cup holder: The cup holder might seem simple and irrelevant, but it definitely aids you in online gaming when you don’t have time to actually leave the desk to fill up on the refreshments. Storage: One of the most important things to look for is the storage. With gaming desks, you won’t find things like drawers, but rather a few stands. Having a gaming stand is perfect for displaying your favorite games or a hook for your expensive headphones. Mousepad: The mousepad can actually be seen as a crucial feature, but since many people have their own custom mousepads, you should only look for it if it will enhance your experience. Chairs: You will be able to find a few gaming desks that also include the chair. This can be a great benefit as you will buy 2-in-1. Setup – If you have many technical skills, this should not be something that will stand in your way. However, you will need to assemble the desk once it arrives and understanding the difficulty level can make a massive difference. Most of the desks that we have selected for this list are fairly easy to set up and should not take you too long. Warranty – If possible, it is important to look for some sort of warranty. Many of these desks can run into the hundreds of dollars and being protected by a warranty will certainly give you some peace of mind. The industry standard is only around 1-year, but still gives you more than enough time to actually test all the features. Will A Gaming Desk Actually Enhance My Gaming Experience? This will all depend on the type of desk that you have and if it actually fits your style. Most of the gaming desks in this review are chosen for their ergonomic purposes that will enable you to actually reach every part and corner of the desk without too many hassles. It is important to find something that you are comfortable with before buying. Should I Buy A Specific Gaming Chair As Well? Once you have your gaming desk ready, you can buy a gaming chair. A normal chair might not give you all the maneuverability and versatility of a top quality gaming chair. However, you will also need to ensure that the gaming chair does fit your desk and that you can use both of them to work for you and elevate your gaming experience. How Much Space Do I Need? When selecting a gaming desk, you need to look at how much space will be needed. As a rule of thumb, you should always overestimate the amount of space that will be needed. This means that if you only have one monitor, it is better to buy a desk large enough for two. This is actually a long term investment and should you ever buy another monitor, you will have ample space ready for it. How To Actually Get The Best Gaming Experience No matter which desk you have, your gaming experience will ultimately be influenced by all of your equipment and the specific PC or console that you own. It is much better to start with that as part of your investment strategy and eventually adding the additional things like a gaming desk or a gaming chair. Once you are done with the essential equipment, the rest will fall into place much faster. While all of these desks are quite remarkable, the one that definitely stands out feature-wise and with a great price to match is the Atlantic Gaming Desk Pro. 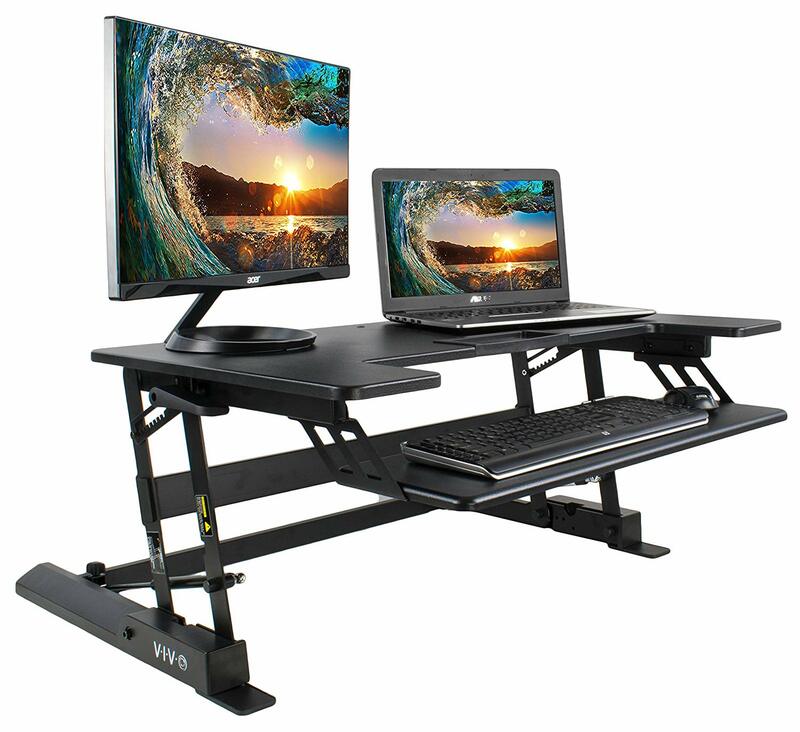 This desk has been designed with numerous accessories and an elevated area for your monitor. It can hold up to 2 32-inch monitors if needed and the microfiber mousepad adds to the ability glide around d the desk without any interference. It features a stylish design and the contoured surface also allows you to have more grip for all your equipment. We would like to thank you for reading this article and encourage you to share some of your thoughts. Let us know in the comment section which of these desks you prefer or have used before and leave a star rating with your review. We would also love to know if we might have missed any of your favorites. I have used the Arozzi Arena desk for a few months now so I thought I’d share my thoughts on it. I actually spent quite a while trying to decide which desk to get and this was one of the more expensive ones I looked at. I went for the Arozzi as I liked the style – I don’t like the ones with all the xtra compartments etc, it looks great and the mousemat is very nice to use. The curve on the desk is great, you can site in the middle and rest your arms comfortably on either side which helps get close to the screen and helps immersion. The build and finish is very, there is a very slight amount of movement when resting on the desk but nothing to worry about really. It did take me a while to build it, there are a lot of screws! As long as you follow the instructions you should be ok though. Also went for the Arozzi desk – looks so cool, love it 5 stars.